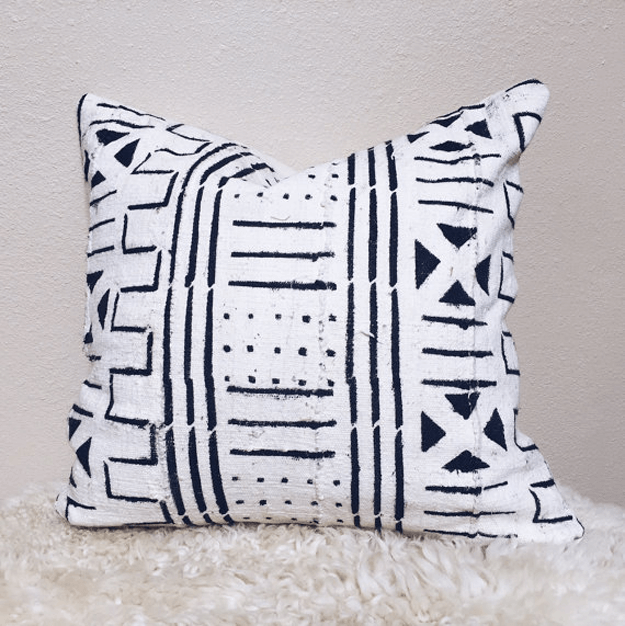 I’ve been totally obsessed with African Mudcloth Pillows lately. 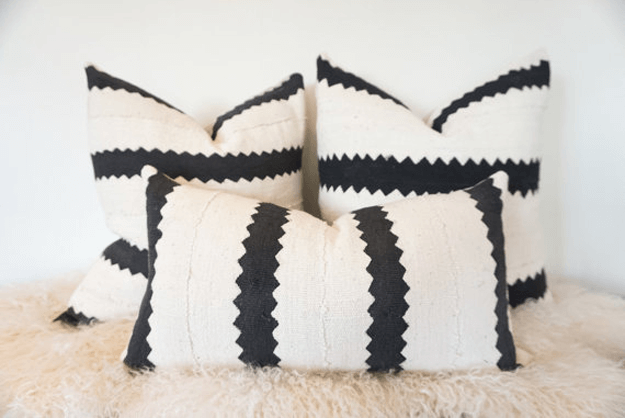 These are commonly seen in either black with white patterns or white with black patterns. 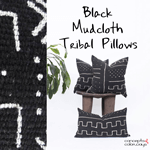 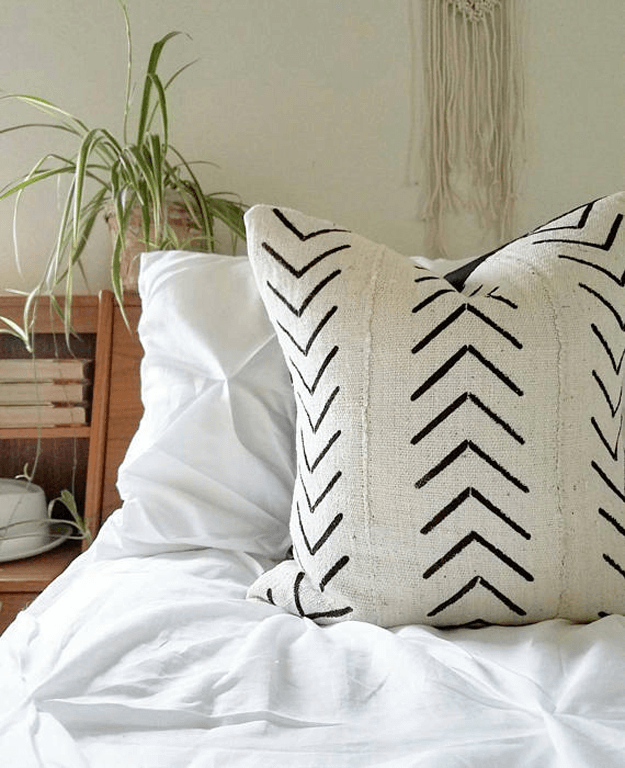 I put together a great collection of the black versions in my Black Mudcloth Tribal Pillows post. 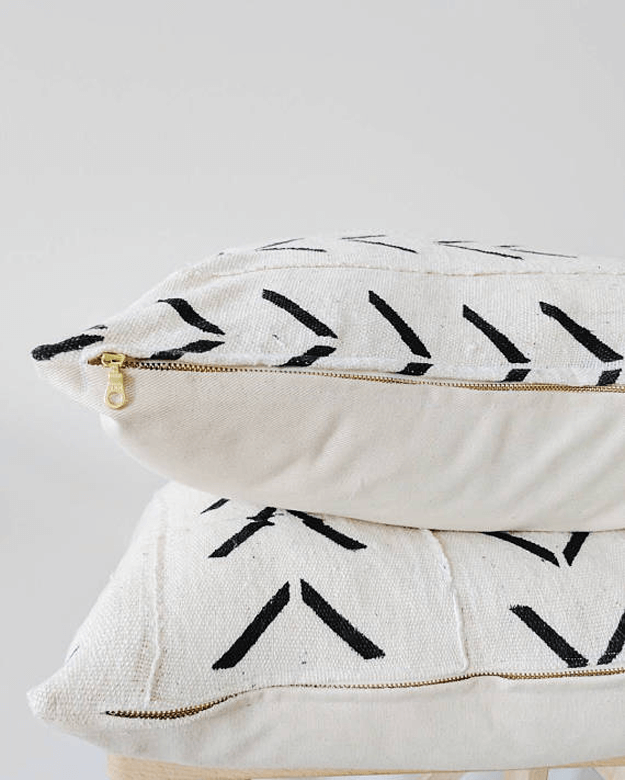 So, today I want to focus on the white ones. 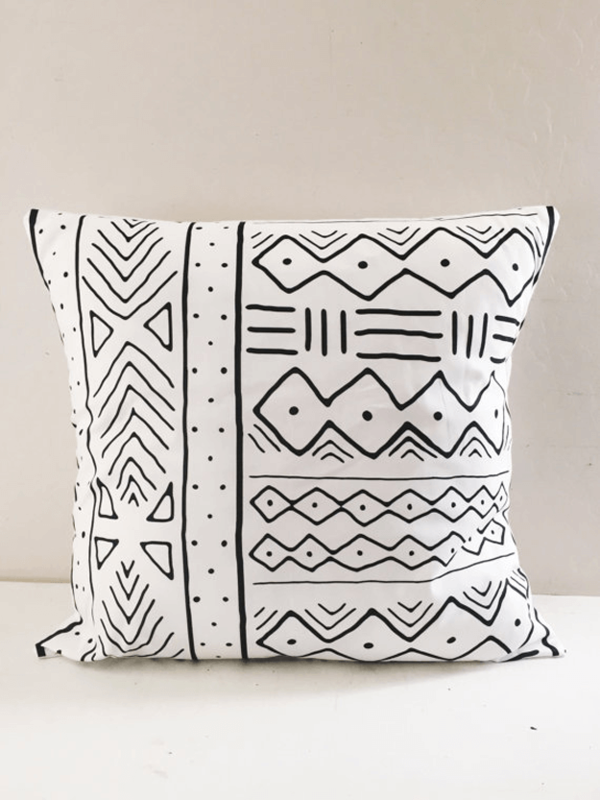 I just love the texture of mudcloth fabric and the striking contrast of the black print on the white background is right up my alley! 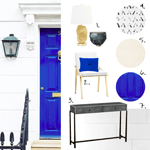 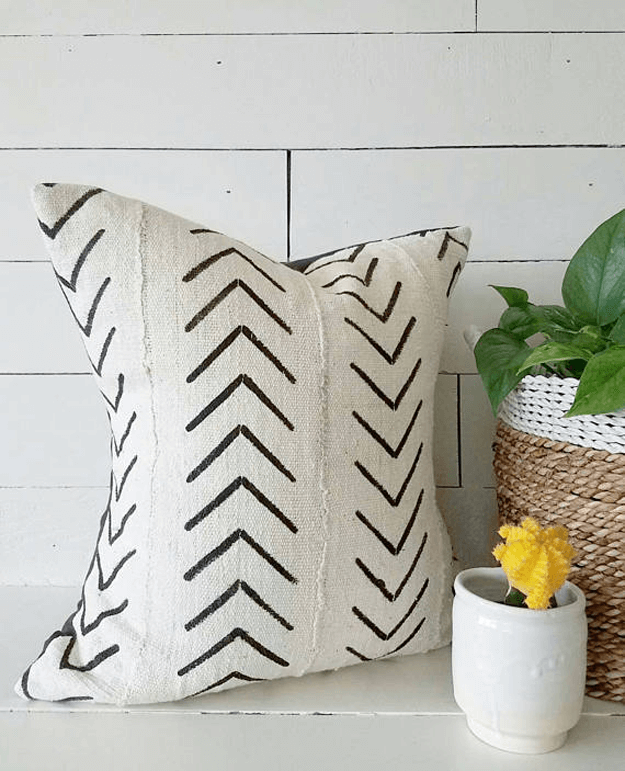 Below are some of my favorite patterns in this latest design trend. 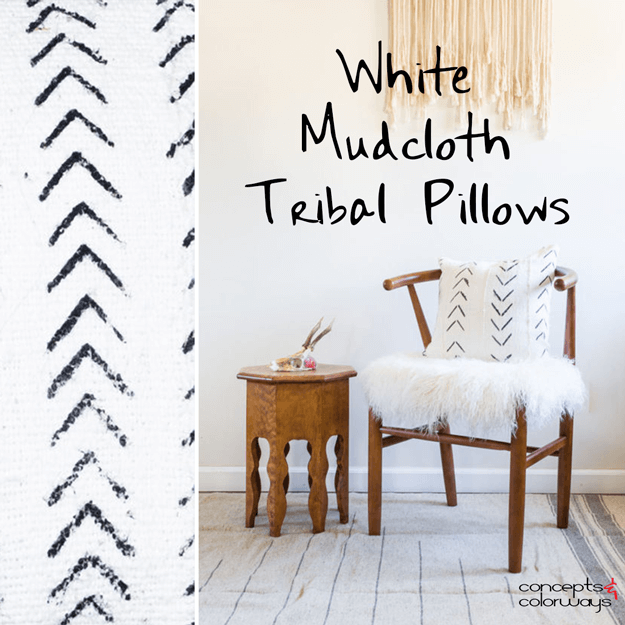 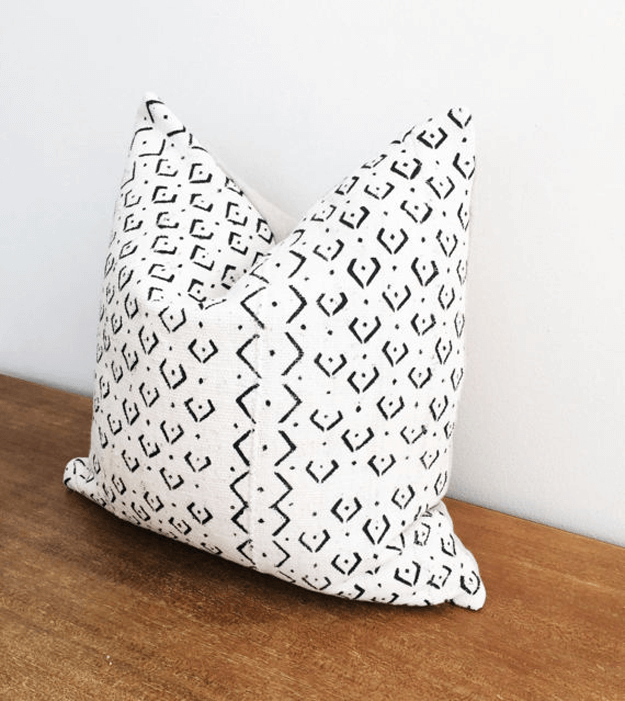 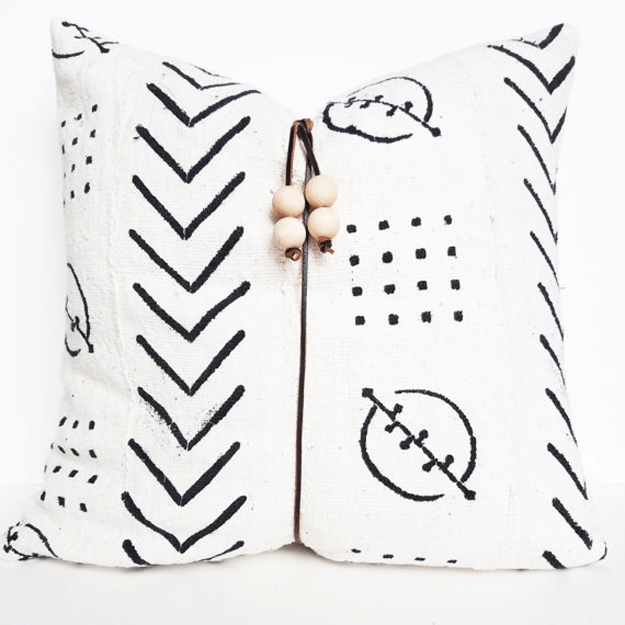 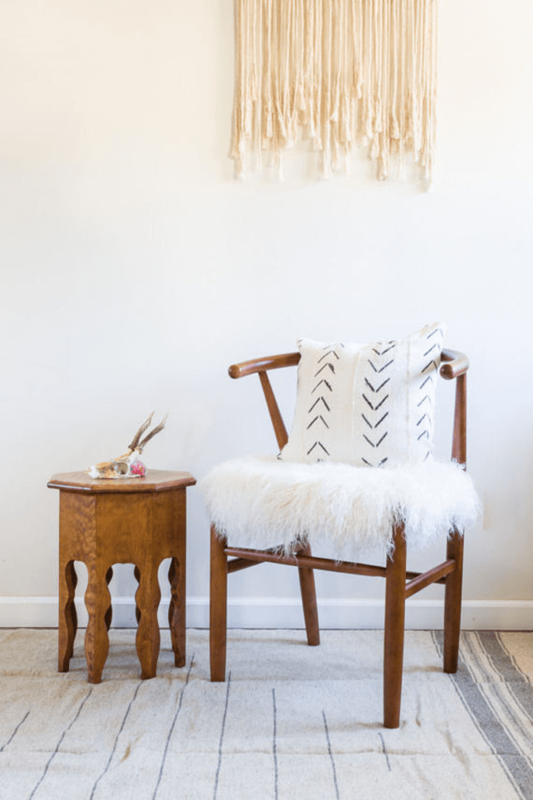 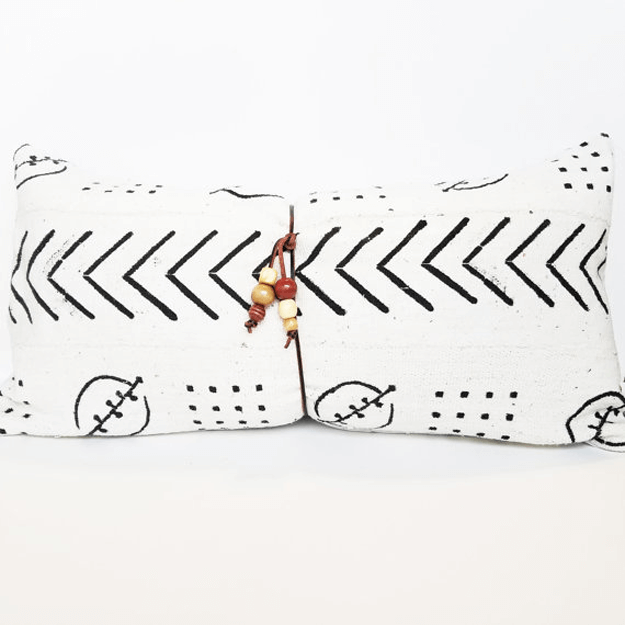 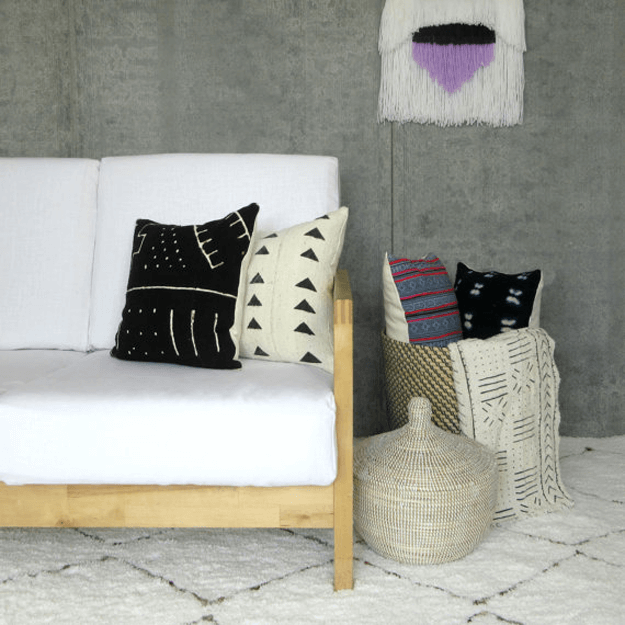 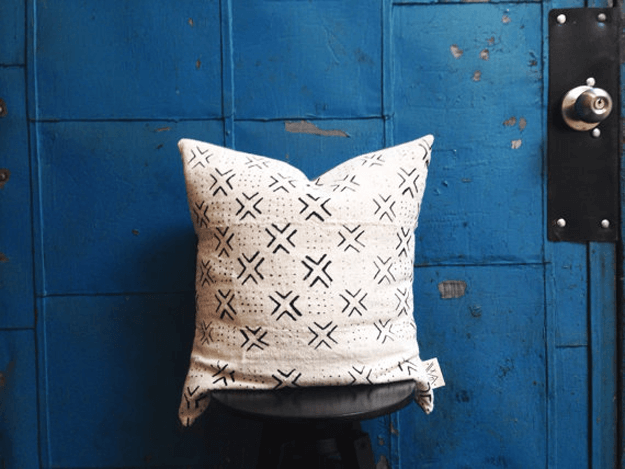 If you’re looking for texture and pattern in the same piece, mudcloth pillows are the way to go!